is an open world action-adventure third-person shooter video game developed by DMA Design and published by Rockstar Games. It was released on 22 October 2001 for the PlayStation 2, on 20 May 2002 for Microsoft Windows, and on 31 October 2003 for the Xbox. A remastered version of the game was released on mobile platforms in 2011, for the game's tenth anniversary. 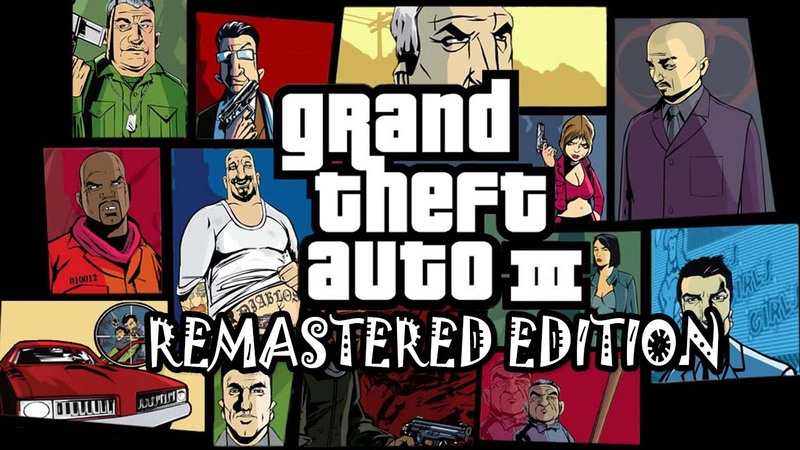 It is the fifth title in the Grand Theft Auto series, and the first main entry since 1999's Grand Theft Auto 2. Set within the fictional Liberty City, based on New York City, the game follows Claude after he is left for dead and quickly becomes entangled in a world of gangs, crime and corruption. This is a lite/spinoff version of GTA III Special Extended Edition. who would only like to see game to get remastered, but not extended/changed. * Color correcting the entire game * Fixing all textures * New shadows & reflections for cars * Replacing low quality textures w/ highest quality source available * New blue-filter-free sky * New car colors made from stract * Alpha Windows for whole city. Note :- Please replace all the in previous GTA 3 Folder .